Increasing in severity as they have, sanctions against the DPRK have not inflicted the maximum punitive effect intended. This is not due to the inefficacy of sanctions, many argue, but rather the failure of specific countries of faithfully implement them to the fullest. Among the parties drawing accusations of half-hearted compliance is Russia, to which the dubious distinction of having created the concept of “coal laundering” belongs. 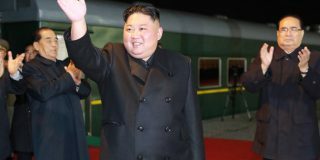 And given the Russian Federation’s failure to comply with sanctions on some of the latest targets of North Korean sanctions – coal as well as fuel shipments – it was perhaps only a matter of time before accusations of failing to adhere to UN provisions on North Korean guest workers emerged. At the beginning of August, the Wall Street Journal issued a report, based on readings of Russian government documents, which claimed that Russian authorities had offered work permits to fresh batches of North Korean laborers. Resolution 2397, approved only months later, calls for countries hosting North Korean guest workers to repatriate the DPRK citizens by the end of 2019. North Korean workers in Russia have tended to sign onto contracts lasting about five years. Thus, not only would granting new work contracts appear to be a violation of Resolution 2375, but would also indicate that Russian authorities have no particular intention of repatriating guest workers by the December 2019 deadline. 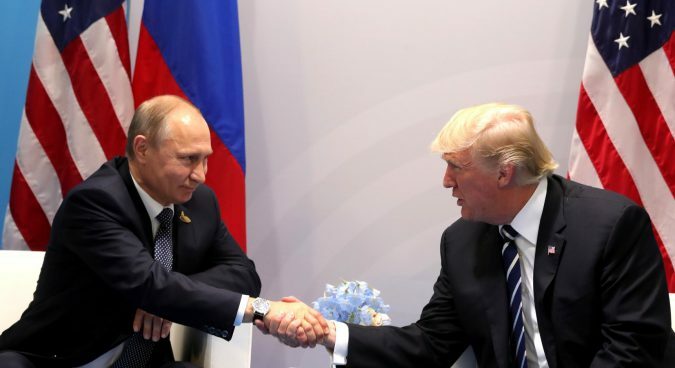 Accompanying the accusations leveled against Russia was the song-and-dance routine between Moscow and Washington that inevitably emerges in light of such allegations. U.S. Secretary of State Mike Pompeo and U.S. envoy to the UN Nikki Haley called out Russia for the insinuated sanctions violation. Russian ambassador to North Korea Alexander Matsegora countered by saying that “not a single new worker” had been employed in Russia. Rather, he claimed new permits had been extended to DPRK citizens already in the country. Nevertheless, Matsegora did not shy away from citing the ostensible harm to the Russian economy a mass repatriation of North Korean guest workers would cause, and refuted the possibility that they could simply be substituted with Chinese employees. Assessing the veracity of the allegations and legal liability to which Russian individuals or the government as a whole can be held falls under the provisions of international law. Yet it seems that Moscow’s ties to third countries, and by extension regional differences within Russia itself, can also have some effect on sanctions implementation. In particular, the Russian Federation’s relations with Beijing may have an effect on sanctions compliance in Russia’s Asian territories. Yet nothing in Moscow’s relations with other countries seems to affect North Koreans’ continued employment on construction sites in the major cities of western Russia. North Korean guest laborers have worked in the Russian Far East for as long as the DPRK itself has existed. Indeed, North Koreans employed in Russia have proven valuable assets in Moscow’s bid to economically develop the Russian Far East. 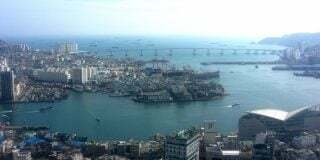 In February of this year, however, Alexander Matsegora announced that provincial governments in the Far East had begun to implement UN sanctions prohibiting the employment of DPRK citizens. 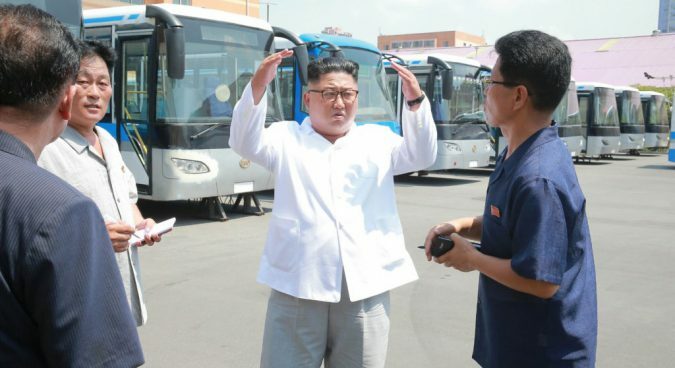 Work permits for North Korean employees were not to be renewed, with a large portion of their vacant slots slated to be filled by guest laborers from China. For increased numbers of Chinese guest workers to take up employment in the Russian Far East follows an overall trend toward more intimate cooperation between China and Russia, particularly in the Russian Far East. 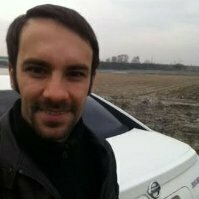 Thus, regarding the employment of North Koreans in this particular region of Russia, the possibility of phasing out their presence can be linked with the interconnected strategic initiatives of tight-knit Sino-Russian economic cooperation and the economic development of Russia’s Pacific territories. Replacing North Korean guest workers with citizens of the PRC would in theory allow Russia to be in compliance with international law without suffering a labor shortage. In practice, however as research suggests, replacing DPRK citizens with Chinese workers is much easier said than done, even as China and Russia have implemented their own labor migration accord. Within Russia’s labor market, Chinese and North Korean citizens have tended to be roughly divided along industry lines – Chinese citizens have been more widely represented in agriculture, while DPRK citizens have been notably popular in the construction industry. According to Russian Ministry of Labor records cited by the WSJ, the Russian firms employing the highest number of DPRK citizens were limited liability companies focused on the construction and repairs industries. Further investigation into some of the individual firms cited – Cholsan, Rakwon and Zenko-39 – reveals that they are headquartered in Russian cities as Krasnodar and Novosibirsk, well outside the Russian Far East. 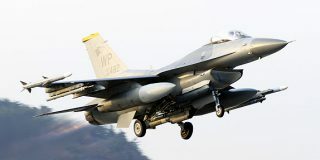 The Wall Street Journal’s report draws upon substantive research and analysis from the Washington DC-based Center for Advanced Defense Studies (C4ADS). The C4ADS report notes that China and Russia together host 80% of North Korea’s global network of laborers. In particular, the DC-based think tank highlights the fact that Russia has hosted DPRK citizens longer than any other country. 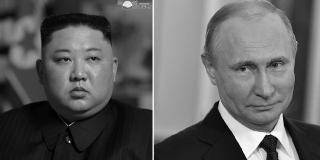 The report contrasted the longevity of North Koreans’ presence on Russian soil facilitated by official channels with more recent similar initiatives undertaken in China. While guest laborers from the DPRK have traditionally been concentrated most heavily in the Russian Far East’s timer industry, today they are widely dispersed across the Russian Federation in a variety of industries. North Koreans could in principle be more easily replaceable in the Russian Far East, as greater numbers of Chinese cross the porous Sino-Russian border to take up employment. Of course, there is no particular reason (barring laws giving preference to local citizens in hiring decisions) why citizens of other countries can’t be hired on the major urban construction sites of Russia’s main cities. 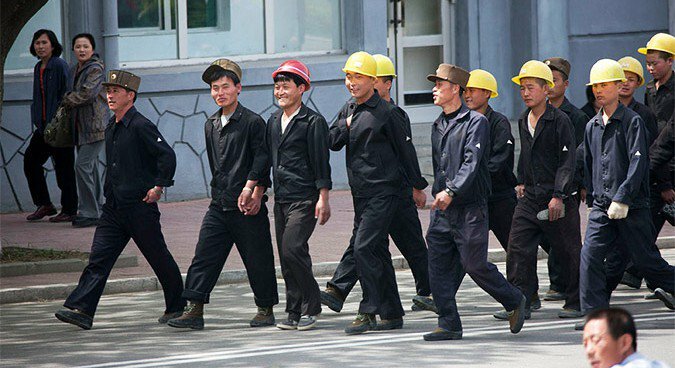 Yet aside from the oft-cited solid reputations among Russian employers that DPRK guest workers have earned for themselves, there are no discernible trends, from an international relations point of view, that suggest the country’s urban construction industry plans to wean itself off the employment of North Korean citizens anytime soon. UN sanctions have not failed to zero in on a major source of income for the North Korean state. Prohibiting firms from hiring North Korean citizens is, in principle, a sure way to put the hurt on Pyongyang. Yet what the most recent reports of Russian failure to faithfully implement sanctions highlights is how the Russian Federation’s relations with other countries can affect full-fledged compliance. Moscow’s failure to comply with the provisions set out by UN sanctions will not do anything to mitigate the spoiler image it has burnished for itself in the West. Authorities in Moscow can apparently afford to turn a blind eye to violations of sanctions in the name of economic sustainability, as there is seemingly nothing in it for Russia insofar as compliance is concerned. Subscribe to read the remaining 1309 words of this article.